Perhaps I have arrived as a blogger! What do you think, folks – did this lady come up with this idea on her own or was it based on my Spam-Bam series? Either way, her responses to spammers are as funny as mine, and there are plenty of spam comments to go around. Enjoy! Dear Bad Credit: My spam filter also ate your 2nd, 3rd, 4th, and 5th comments. Weird! Next time try using a human being instead of a robot to post. That usually helps. 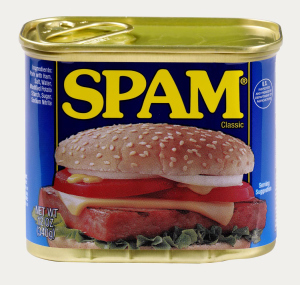 This entry was posted in Re-Blogs, That's Life and tagged spam, spam-bam, spamathon, spammers. Bookmark the permalink.